Creating a custom hardwood floor is part art, part craftsmanship – and all about the materials. When we have the opportunity to help a customer create a fine hardwood floor to meet their precise specifications we combine the best of both worlds. 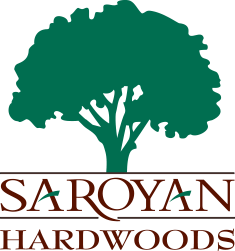 High-quality hardwoods meet artisan workmanship to create an enduring and bespoke floor for your home, business or project. From creating a masterpiece in a foyer or welcome area to creating a one of a kind look for a living room or working with the quirks and eccentricities of a restoration project, custom hardwood flooring can pull an entire project together. When you work with a custom designer, your possibilities are endless and you can achieve any look you desire for your project. Our craftsmen make it a point to learn the ins and outs of every species of hardwood out there – from alder to zebrawood and everything in between. Each project we accept begins with this deep knowledge; we’re able to recommend the perfect hardwood for the space and the people who use it. Quality wood that is hand selected for the project at hand, along with precision cuts and a combination of enduring, heirloom techniques and the latest protective technology ensures your floor will last a lifetime. Our commitment to you means that your floor will be as stunning years from now as it is the very day it is completed. We take great pride in our ability to deliver timelessly, enduring quality that you can rely on, every time.